A blog about my life in New York City. Eatouts, Travels, Thoughts, Movies... Always something interesting, something exciting. As many new yorkers, i usually eat out and rarely cook. So grocery shopping is a rather infrequent thing (not counting the 1-2 things you pick up at delis). I had heard quite a bit about Fairway on 125th and riverside av , just off the Hudson river. The company's tagline is "like no other market"
I recently shopped there on Xmas eve (to make Xmas lunch for friends ). Okay, they have a wide variety of selections and a huge cold room. The shopping went off nice but then came the big surprises. 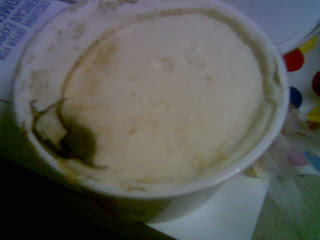 The very next day i opened the ricotta cheese to make the lasagna and to my great surprise, the cheese had fungus! It was in the cold room of Fairway and overnight in my fridge and yet i open to see it having fungus. Okay, i can ignore that one mistake. Then within two days, the pita bread caught fungus, this when pur kitchen is not very well heated and is quite cold in the new york weather. Fine, i can let that go too. But 3 days ago, i took out the cream cheese that i had bought and that i had not yet opened - baam - the thing was a stinker with the cheese badly fermented. 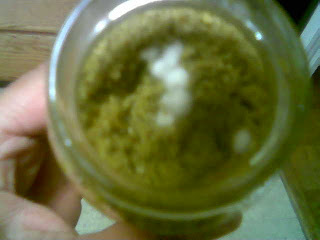 I cudnt stand the smell to take a pic. 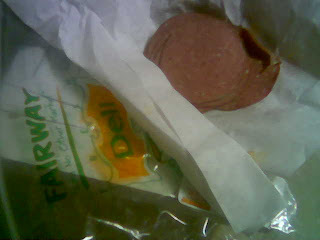 And then today, my beef salami slices, also had fungus on them and thats not all. The pesto sauce, which i had only used once and stored properly in a cabinet had fungal growth on it. This has never happened before - usually the pesto lasts for weeks. 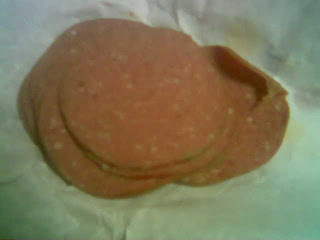 The beef slices for 2-3 weeks easily in a fridge. I am thoroughly disappointed. Indeed, fairway is like no other store, when it comes to fungal growth on its food items. Not me. I am not going back to that store again.